We want you to go to Mexico! 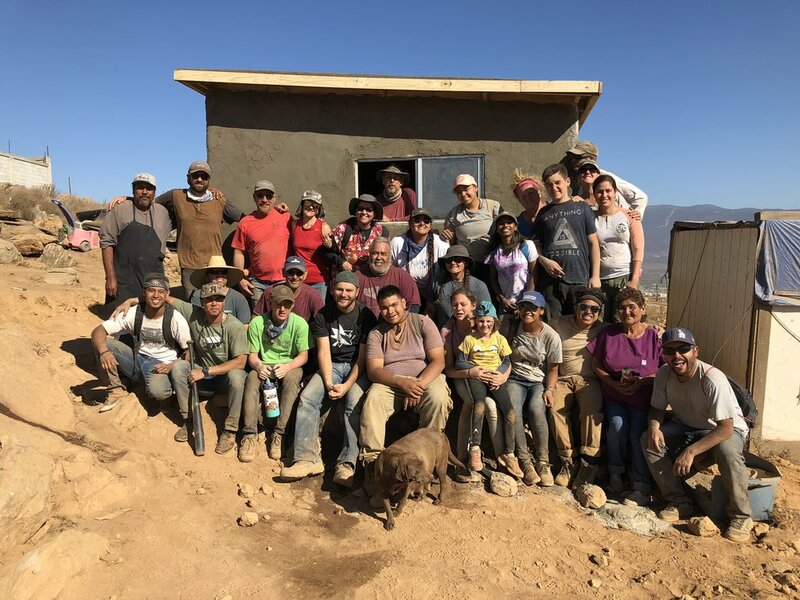 Take a great look at our 2018 house building trip to Mexico. Cedars Church first trip. One of the things that we want to make sure that you are aware of is our annual Mexico House Building Trip. This year it is scheduled for June 27th-July 1st. As a staff we can not tell you how significant this trip can be for your growth. To be a part of changing the life of a Child of God in the name of Jesus is simply powerful. This is a trip that will bless you more than words can say. No one who has gone on this trip has not come back affected and moved by what they saw and what they accomplished. So we are really asking for you to consider this trip. Here are some details that you need to know. 1. Date is June 27th-July 1st - We leave fairly early on Thursday morning and shoot to be back around 8:00pm Monday night. 2. You HAVE TO HAVE a valid passport. You need to get on this now if you do not have one. 3. You absolutely do NOT need construction experience. 4. You will be sleeping in a tent. And yes it is a bit dusty and dirty, (see the pics below) but it is worth it. 4. You will need to register through our events page. Click here now to register. This will let us know of your interest and will make sure you have the proper documentation. (Also Amor Ministries is completely digitize, so we have links that you will need to fill out the paperwork needed by Amor). A. 18 or over click here. B. 17 or under click here. 6. You will want to bring a friend. Trust me, this is a great shared experience. 7. Here is where you sign up. Click on this link. More information will be found here. 8. The youngest that can attend is a Jr. High Student if one parent attends with them. High School on up, are welcome. Ok, That is it. Please pray about this, please consider this! We want everyone who calls Cedars home to eventually come on this trip. We believe in this trip that much. If you have questions, please let the staff know. Newer PostThis is one you should check out!